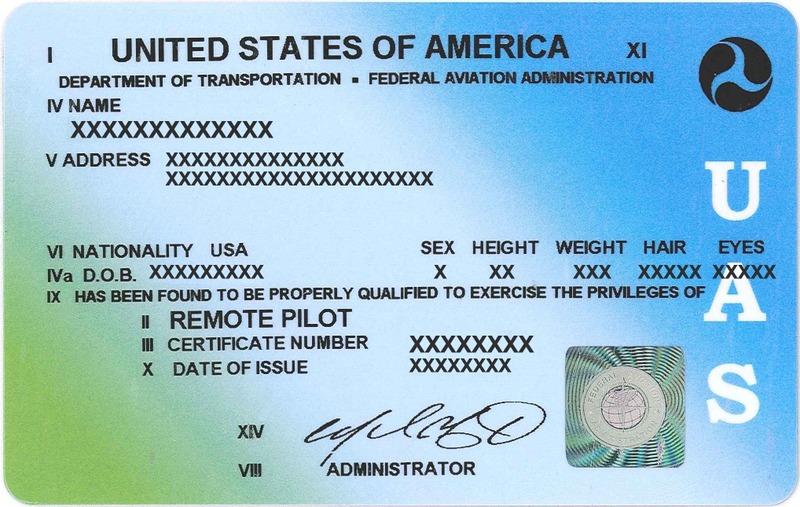 The sUAS Remote Pilot certificate looks a lot like this. Well, I did it. Actually, I did it back in August. 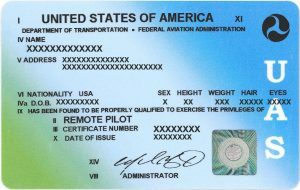 I took my FAA Part 107 exam and passed with “a very good score for a non-pilot” according to the proctor. That means I can now legally fly a drone Small Unmanned Aerial System for commercial purposes. It also means that I fly under a less restrictive set of rules than the hobbyist rules, which are currently in flux after the passage of the FAA reauthorization bill. I particularly liked the book because it’s very much just the things you need to know, it’s inexpensive, and includes a copy of the FAA supplement that is used during the actual exam. This allows you to get some familiarity with the exam materials. Part of what pushed me to finally do this was seeing Lee Badman pass his exam. I think he and I are going to create a union of drone guys. The First Union of Drone Guys Everywhere. Lee wanted to call it Good Looking Drone Guys of Action That Smell Nice and Whatnot, but GLDGATSNW doesn’t really flow on the tongue like FUDGE. I mean, who doesn’t love fudge? Plus, if you crash your drone, you can say “Oh, FUDGE.” Not sure how that’ll help, but you can say it and everyone will know you’re in our union. Remember, we’re pulling for you. We’re all in this together.